If you love artists such as Macky Gee, Annix, DJ Hazard, DJ Phantasy, Original Sin, Annix, Hedex or DJ Guv, then you are in luck. 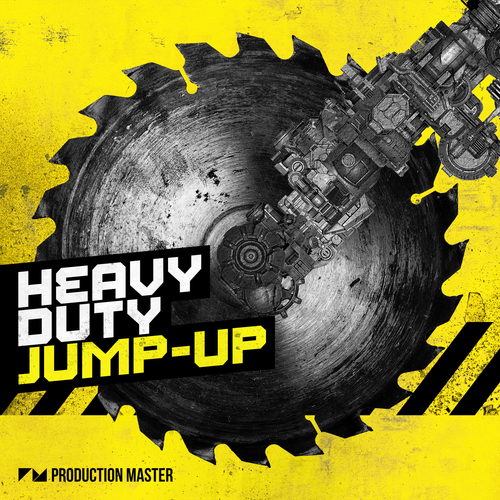 Production Master’s Heavy Duty Jump-Up spans over 700MB of heavy duty samples and over 100 custom-made Xfer Serum presets, “Heavy Duty Jump-Up” is a monstrous collection of the most in your face, dance-floor jump-up ammo you can find! When we say this pack is heavy duty; we mean it! You will find anything from bouncing bass riffs to grinding bass noises and chest ratling sub basses. All perfectly engineered and drag and drop ready! Heavy Duty Jump-Up features a plethora of punchy and gnarly drum hits and loops, this pack should not be missed. We made sure to bring you the heaviest selection of thundering kicks, punchy snares, crisp hi-hats, shimmering cymbals, crazy percussions & more. On top of that, we included separate folders full of live-recorded drum hits and loops, ideal for layering and to bring that typical jump up feel to your productions. Get the crowd hyped up with Heavy Duty Jump-Up’s easy to use but intricate build ups. This set of uplifting loops will make it easy to build your track into the wildest hype before you hit the crowd with the banging drop! We got some proper dancefloor ammunition to hype your crowd in this pack! Choose from an array of filthy plucks, dirty riffs, wobbly pads, monstrous leads & much more. Get creative and chop / pitch / mangle these badboys up. Pimp up your productions with a wide selection of hypnotising effects, hype phrases and vocal hits. The FX folder features all necessary up and down lifters and sweeps to create the tension between intro and drop part of your drum & bass tracks. Starring 112 of fully editable patches, our Xfer Serum preset folder knows no boundaries. Get ready for an extraordinary ride to bass-fuelled heaven! Ranging from hard-hitting plucks and distorted leads to powerful, dirty bass vibrations, screechy noises, stabs and subs. It is all in this pack of pure jump-up madness! Start banging out those dancefloor stompers. Grab “Heavy Duty Jump-Up” NOW!